In a city known for parties that stretch well into the next morning, After Eight Cocktail Club is of the best places to stay up into the wee hours. In a city known for parties that stretch well into the next morning, After Eight Cocktail Club is of the best places to stay up into the wee hours. 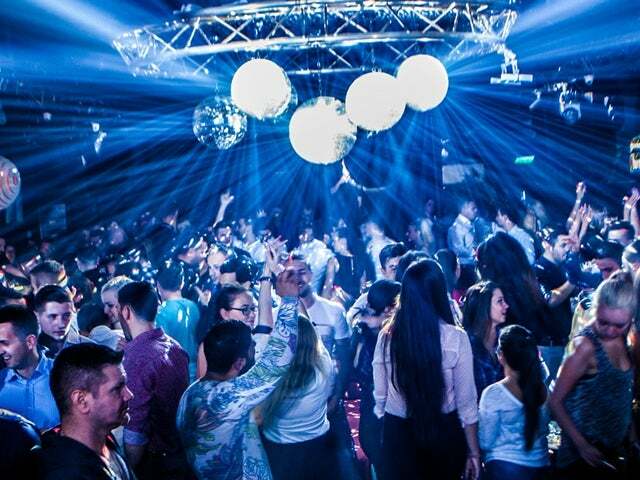 Due to its massive student population, Cluj-Napoca is well known to Romanians as one of the biggest party cites in the entire nation, and After Eight Cocktail Club has been offering well-attended courses in cocktails, music, and dance since 2004. Many dance clubs don’t take their cocktails seriously and many cocktail bars don’t bother to offer revelers a place to cut loose to tunes, but After Eight manages to do both masterfully. A throbbing sound system keeps dancers on their toes with international chart toppers – think the latest hits you would hear on your favorite pop radio station – along with current and retro Romanian hits. The crowd is well dressed and arrives ready to party hard, so consider yourself warned. Special events like 80’s nights and summer jams fill the calendar at After Eight, as they make no secret of their penchant for finding any excuse to let loose. Like the music, the cocktail menu is a parade of well known hits like mojitos, cosmopolitans, margaritas, and Manhattans, all mixed and shaken up by a hardworking bar staff that doesn’t close up shop until the sun has long risen and Clug’s classrooms are starting to fill.